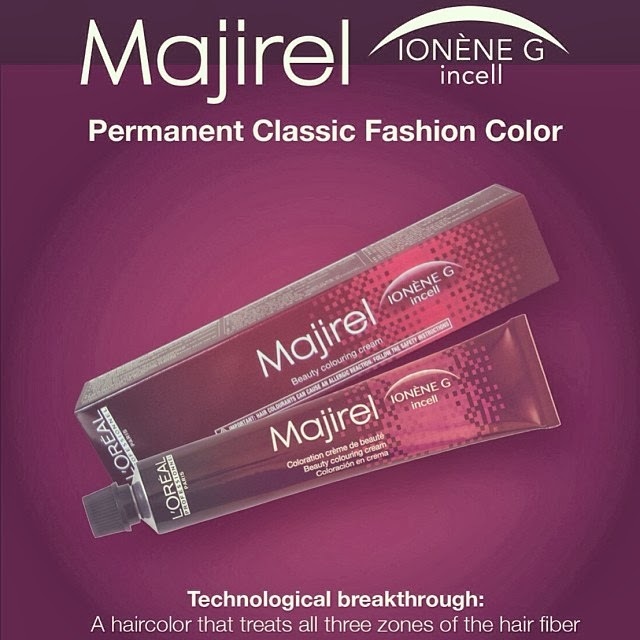 If you want an instant makeover, you may consider enhancing your hair color. That's what I've learned the past years on my quest towards fashion and anything beautiful. 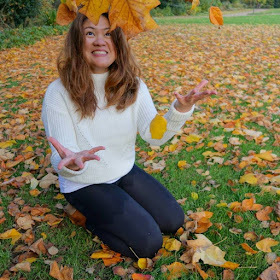 A little improvement here and there makes a personality more exciting! Hair enthusiasts are ever familiar with L'oreal. 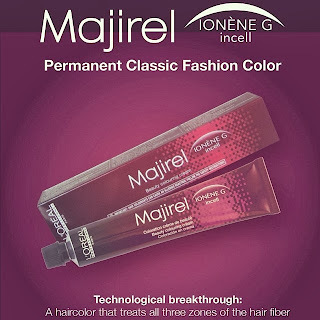 I can still recall my mom on my grade school days specially requesting for L'oreal products in Burgundy. Fast forward 2013, L'oreal launched a campaign that envisions each Filipina to WYCP that is WEAR YOUR COLOR PROUD. Mestiza, Chinita, Morena? Everyone is welcome! 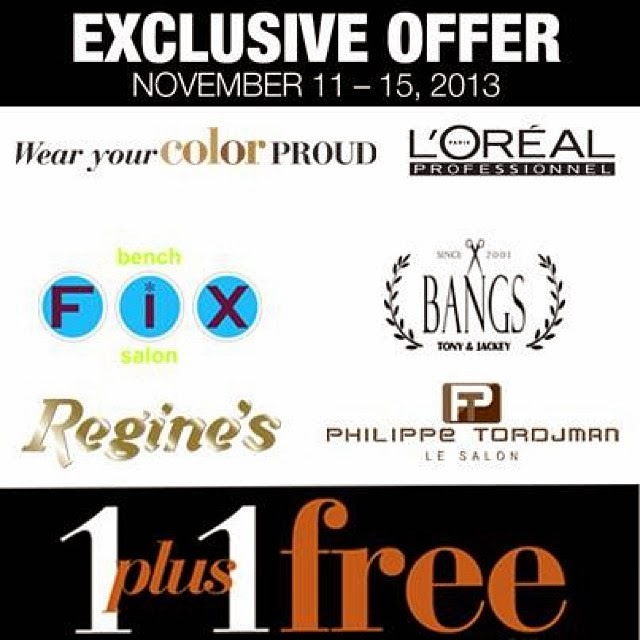 This coming week, November 11-15, you and your friend can avail a hair color treatment for the price of one! It's like a 50% off bargain on posh salons listed above. 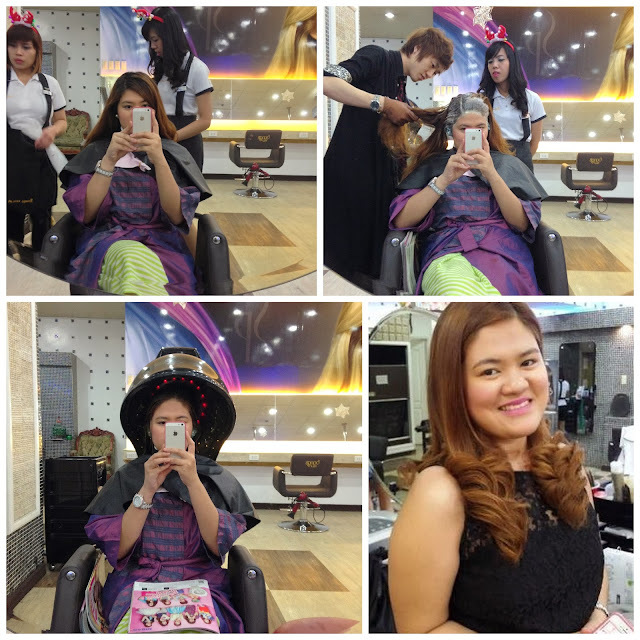 You'll appreciate that the salons are fairly distributed on all major commercial districts, be it in shopping centers or business centers alike. Here are the process CMK and Lorene have enjoyed: Hair color, Hair Cut, Vitamin Treatment and Hair Styling. Throughout the process, we've read up to date magazines and sipped a Korean green tea. Lorene finished ahead of me. The entire process took about 2 to 2.5 hours. 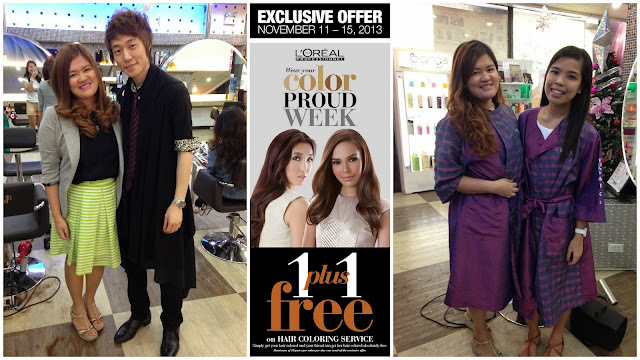 I really appreciate how warm and professional Tony and Jackey Team has always been. We both left T&J satisfied with our new #ProudChinita looks. I'm happy that Lorene's first attempt on hair coloring turned out very well. My hair feels so much lighter after being chopped strategically (thanks thinning scissors) and the color looks so much livelier now. After our hair session, we headed straight at The Coffee Bean and Tea Leaf for a sumptuous early dinner.